Valentines will be a bigger celebration as cool bossa nova, jazz and funk tunes sizzle. 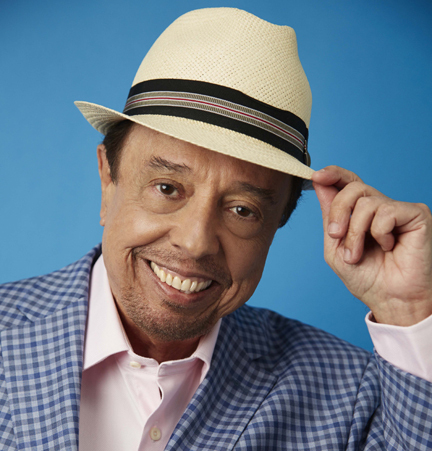 Brazil’s cool, Sergio Mendes is set to make your hearts groove with his back-to-back concert Sergio Mendes: A Valentine’s Day Concert happening on Feb. 14 and 15 at The Tent at Solaire. The Brazilian superstar will be the first international artist that will grace the resort’s newest venue as it draws in and stages grander events. “We want to continue elevating the Solaire experience through a vast roster of stay, dine and event offers that everyone can enjoy. Valentine’s Day is one occasion that couples, families, or groups of friends treat with specialty. Choose to celebrate with us by booking one of our highly acclaimed five-star spaces, dining at any of our multi-awarded restaurants, and seeing one of the world’s most recognized musicians in our Valentine concert, to get the best of what Solaire has to offer,” says Lorenzo Manalang, Solaire’s Vice President for Brand and Marketing. Sergio Mendes’ influence in the music industry spans five decades and counting. He is best known for being responsible for the rise of Brazilian music in the international scene. He began his world journey with performances in Europe, the Middle East, and Asia, and not long after, in the United States. His “Brasil 66” hit a milestone for being the first album to be sung entirely in Portuguese that reached the top 5 of the famous Billboard magazine with “Mas Que Nada” as its flag bearer single. Adapting to the changing music landscape, he has expanded his reach by venturing into other genres to mix into his and collaborating with new-age artists. Sergio has worked with Black Eyed Peas frontman Will.i.am, Justin Timberlake, and John Legend among many others, and extended his expertise for the successful animated film Rio and its sequel, Rio 2. Feel the enduring sounds of love-struck passion surround you in a two-night serenade with cupid’s bow. For tickets to Sergio Mendes: A Valentine’s Day Concert, you can call TicketWorld at 891-9999.